I find that the secret is to use a KNIT fabric. It's more comfortable and has a little stretch, which helps it to stay on much better. 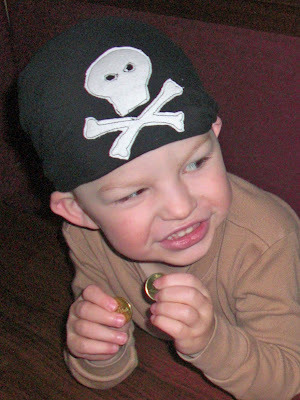 I had a random bit of black knit fabric in my costume fabric box, but you could certainly recycle an old t-shirt too. 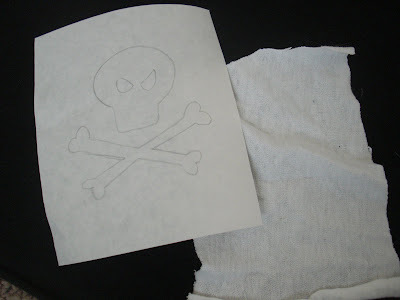 STEP ONE: Draw a skull and crossbones on your freezer paper. STEP TWO: Cut it out -- you are removing the inside part of your pattern and keeping the outside part! Fuse your freezer paper pattern to your square of knit fabric. 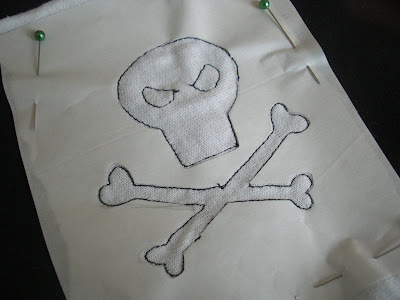 STEP THREE: Pin your freezer paper and knit fabric on one corner of your black square, so the bottom of the crossbones is about 6" up from the corner. 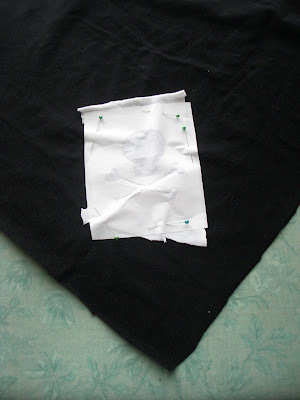 STEP FOUR: Using black thread, sew around the inside edge of your freezer paper pattern. I used my free-motion foot. (See why I love my free-motion foot in the short video under step four in this tutorial!) You can certainly use a regular foot -- it just means you'll be lifting and lowering your presser foot a lot to get around those curves and corners. Of course I had to add some angry eyes! 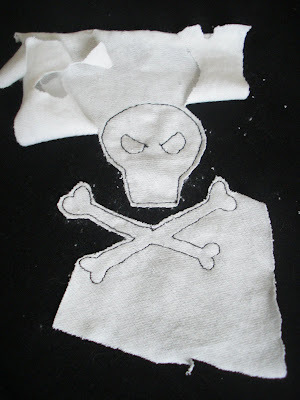 STEP FIVE: Cut away the excess fabric around your skull and crossbones. 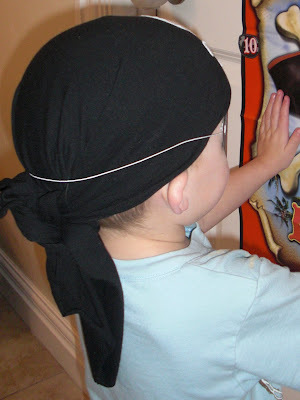 Your doo-rag is complete! Awesome!! 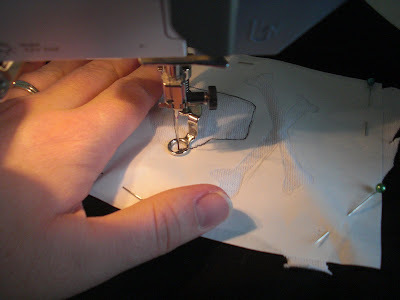 I hadn't ever used freezer paper as a stencil/guideline for free motion stitching before. Will definitely have to give that a try the next time I drop the ole feed dogs. Very cute! I found you on The Girl Creative New Friends Friday. Just wanted to mention, unless I'm reading it wrong, I think there might be a typo in Step 2. 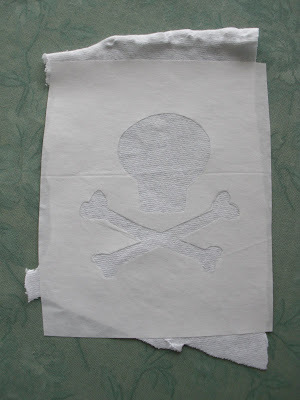 Keep the outside of the freezer paper cutout, right?